Sentiments/Non-Dwarves: Has a low opinion of everyone, including dwarves. Basically he hates all races equally, except for elves whom he finds especially arrogant and "prissy". Sentiments/Coalition: Doesn't spend a lot of time thinking about them. If he did he wouldn't like them. Disposition: A typically gruff, coarse and vulgar dwarf. He doesn't have much of a personality and realizes it; tries to keep himself to himself as much as possible. He is also fairly self-aware and tries to limit the exposure of others to his mental illness. He is especially concerned about the opinions of his companions and friends. Ironically his shame over his insanities and his desire to be liked cause him to avoid social situations and bonding activities and tends to have the opposite effect to that desired. He is very loyal to his friends, Odin/Asgard and the Order of the White Rose. Raga has a soft heart when it comes to women and children of all races. Insanity: Obsession/Hatred (Slavery): Raga is obsessed with destroying the Splugorth and their minions as well as slavers in general. Whenever he encounters them he will not rest until he has killed them to the last man, no quarter or mercy possible. 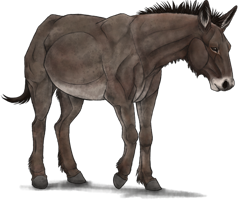 Psychosis (Voices): After years of solitude Raga often carries on conversations with himself and his mule. The personalities of the voices he hears aren't necessarily defined or limited but include important ancestors and Odin. Mostly these voices are highly critical yet benign, sometimes even helpful in the case of motivation during life or death situations. "Get moving you crippled moron." "Don't give up like you always do, you miserable toad!" etc. 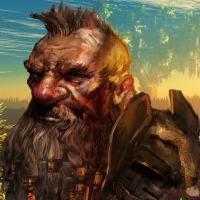 Description: A tall (for a his kind) broad-shouldered tank of a Dwarf with long dirty grey/black dreadlocked hair and an equally long and tangled beard. Generally dresses like a homeless person and has a tendency to forget to bathe. Always smoking or chewing tobacco. Raga is socially unimpressive. He is the last one picked; the first one forgotten about. People rarely remember his name, his mother forgets his birthday, etc. Can power most simple electronic items at no P.P.E. cost. Recharge 1 SDC battery per level (3) for 1 P.P.E. Recharge 1 large SDC battery for 2 P.P.E. Recharge Standard E-clip for 12 P.P.E. Recharge Long E-clip for 18 P.P.E. Recharge E-cannister for 30 P.P.E. Recharge High Powered Cannon with one blast for 30 P.P.E. 1000' range costs 5 P.P.E. 2000' range costs 10 P.P.E. The character can steal P.P.E. being summoned during a time of power. The character absorbs 1d6*10% of the P.P.E. released. The character can draw and hold twice the usual amount of P.P.E. usually available to mages at leylines and nexus points. Character is impervious to lasers, ion blasts, particle beam weapons, plasma bolts, electricity, fire, heat, and radiation. Magically created energy and Ley Line Storms inflict half damage. Character can teleport anywhere along a ley line. When near a Ley Line of Nexus Point Character can heal 40 + 12d6 MDC once per 24 hours. All teleportation channeling counts as two melee attacks/actions and costs the designated P.P.E. (P.P.E. Cost: 10). The Gateway Knight can flawlessly teleport himself and up to 60 pounds (27 kg) of gear up to 100 miles (160 km) per level of experience! Outdoors this applies to places the Gateway has never visited, but for which he knows the approximate location via an accurate map or reliable written or verbal directions. This might include teleporting to the City of Dweomer or Chi-Town on a map, or some location he has frequented many times. The Gateway always appears on the outskirts of the target destination, but without fear of appearing inside a tree, vehicle or obstacle. He can also teleport to any specific location he can see clearly from where he is currently standing. To appear inside a specific building, room, cave, or other particular location, the Gateway must be very familiar with it (i.e., home, workshop, the Garden, etc. ), having personally visited the site at least four times and spent some time there each visit (an hour is ideal). Note: All other conditions of magical Teleportation apply the same as magic invocations. Teleport Self means exactly that, no passengers. The Gateway cannot teleport with even one tiny, intelligent passenger hiding in his pocket. The P.P.E. is spent, but nothing happens. The one place a Gateway can always, flawlessly teleport himself to is the obelisk in the Garden at Madhaven. (P.P.E. Cost: 20). The Gateway Knight can teleport one person (plus an additional 100 lbs/45 kg per person) per level of experience, to another location that he knows well, provided he does not teleport with them. In this case, the Gateway Knight functions as the anchor at the starting point and channels energy from where he is to send other people to the familiar destination point. He can follow afterward. Range is 50 miles (80 km) per level of experience. Rate of success is 99%. Adding one person more than he can normally teleport reduces the success rate by -20% per extra person and should NEVER be attempted except under the most desperate of circumstances, because people are likely to die. Everyone to be teleported must be gathered close together and touching to create a circuit of bio-energy that is magically transmitted to one location. If the circuit is broken the instant the spell is cast, the chance for a successful teleport to the target location is reduced to 01-49%. Any percentile roll above 49% means the people being teleported are separated. Only one character arrives at the intended destination, all others are scattered 1D6x10 miles (16-96 km) all around it. If teleporting only one person, that character must touch the Gateway to complete the circuit for teleportation. Note: People who don't want to be teleported can try to break free of the group circuit (remember, everyone must be connected via physical contact) or roll to save vs magic, but need to roll a 16 or higher without benefit of any saving throws vs magic. Saving throw bonuses do not apply if the individual is not conscious and aware that he is about to be teleported someplace. Also note that people can NOT be teleported into midair and dropped, put deep underwater or dropped into a boiling volcano. The destination must always be someplace of safety on solid land where the Gateway has, himself, visited and stood many time. Teleportation from the Obelisk. The Gateway Knight can teleport double the number of people and extra weight, and at double his usual range when he is physically touching the obelisk known as Cleopatra's Needle, located in the Garden. The success of the teleportation is the same as the spell Teleport: Superior. If the location is familiar to the Gateway Knight, the teleportation is flawless; 100%. Special: Always knows the direction of and distance away from Cleopatra's Needle. This can be used as a sort of compass always guiding the Gateway home, but also a point of reference in order to triangulate his position. Last edited by CHIMERA on Sun Feb 17, 2019 1:47 am, edited 65 times in total. • Damage: 4D6 M.D. ; double damage to most materials, except force/energy fields and Arkhon Cerasteel armor. All of the following engage for the full duration of activation (or until used up in the case of armor). • Armor of Ithan, 10 P.P.E. • Shadow Meld, 10 P.P.E. • • Note: All spell effects at 5th level equivalent. Type: Spear/Lance; Greater Rune Weapon. 1) Upon command, can transform from a long spear to a lance. In lance form, the weapon can only be properly used on horseback, and only by a Knight or a Palladin. Balhan will make itself feel too heavy to be lifted by any other O.C.C. 2) Grants the user Horsemanship: Palladin and Horsemanship: Exotic skills, both at 98%. If the user already has these skills, then they are raised to 98%. Also, the weapon grants the user an additional attack per melee while mounted on horseback and using the weapon as a lance. 3) This weapon inflicts double damage against any demon, Deevil, Alien Intelligence or dragon. Personality: Balhan is an upright and moral crusader that wishes only to do the right thing in all cases. Though it was crafted as an Elven weapon of war, it bears the Dwarves of this world no animosity. It will be especially cordial toward any good-aligned character who owns it. It will be less so with selfish characters, and any evil characters owning this weapon will virtually never enjoy any telepathic contact with the weapon whatsoever. Moreover, in the hands of evil, it only does half damage. History: Balhan was crafted before the Elf-Dwarf War actually began, but even then, tensions ran high among the two peoples. The weapon was made as a present for the Captain of the Baalgor Lancers, an elite corps of Elven soldiers who were the pride of the Empire. The weapon was passed along from Captain to Captain over the centuries until the weapon was finally lost during the Massacre of Senile Hill, when every last Baalgor Lancer was wiped out in a brilliantly coordinated Dwarven ambush. The fate of the weapon remains unknown. It was thought to be taken into Dwarven custody and put into deep storage until the war's end. Such was the fate of many captured Elven weapons. Many of which remain locked away in Dwarven caches that remain unopened and undiscovered to this day in the Old Kingdom Mountains. a leather bound tome in which Raga has recorded every villain he has ever encountered or heard of. Last edited by Anonymous on Thu Oct 23, 2014 10:14 pm, edited 14 times in total. While 75% of Asgardian Dwaves pursue the art of Rune Magic and the 20% are Men of Arms, a rare and therefore highly sought after 5% practice spellcraft. The Rune Masters require the assistance of wizards and shifters in their craft. It goes without saying that they can not turn to mages of other races. This rare niche is filled by a few select clans, the Grimcrows are the largest. Their ancestry includes Garl the Great who survived the Yggdrasil ordeal and gained unlimited magical knowledge. His power bested only by that of Odin, Garl was a legend in Asgard. Unfortunately the trial had driven him insane and he had spent the last three hundred years in hermitage in a distant part of Asgard. However his prestige added to the Grimcrows' legend and that family among all Dwarves was favoured by Odin and tasked by him with many quests and responsibilities. As a young dwarf from a relatively well-to-do family Raga spent his youth in sporting leisure. Wrestling, boxing, and other forms of vigorous competition were pursued with extreme dedication by young dwarves of Asgard as the primary means of getting the attention of those recruiting for prestigious positions in the various institutions and organizations of the realm. Raga had many physical talents, as well as sort of blunt cunning, which allowed him to excel in these competitions. Raga's accomplishments were so impressive, if not his personality, that news of his prowess and victories reached Odin's ears. Odin had been looking for a minion to send to North America, to gather intelligence on the continent, and specifically the Mystic Knights and their usual territory in the Magic Zone. Raga's was magically teleported to a town in the Magic Zone known as base for the Mystic Knights. Raga's abilities impressed the knights as well, as they recruited him soon after he arrived in their midst. While ecstatic to be serving Odin directly, his mission to infiltrate the Mystic Knights didn't sit well with Raga. Too many of his comrades operated without honor and many of his superiors were even worse. When the siege of Bloom forced a mutiny, Raga was eager to have a chance to get away from the dark path down which the Mystic Knights had led him. He joined sides with the rebels Sir Colt and Sir Stonefist and was a big part of their victory that day. Odin's mission had been to learn the ways of the Mystic Knights and and then to gather information on the general state of things in the region. He could easily do that with the good guys, and the choice had been an easy one. Unfortunately for Raga soon after the victory at Bloom, during the exodus, a group of Mystic Knights tipped of the Splugorth that an Asgardian Dwarf with knowledge of rune magic was in the area. The region was soon swarming with slavers and Raga, in order to better serve the group, headed off alone in order to draw the Splugorth away from the rest of his comrades. Raga spent the better part of 2 years evading Splugorth Slavers in and around the Eastern Seaboard and the eastern portion of the Magic Zone. Eventually they caught him and brought him to Atlantis. They tortured and tormented him and, learning that he had no knowledge of use to them, they threw him into the Preserves. Though wounded and worn ragged, Raga again evaded his pursuers for months until they finally caught up to him. Surrounded by Conservators, Raga fell to his knees and prayed to the All-Father. Odin is not really known for divine intervention. Meddling? Perhaps. Ordering people about from on high? Yes. Manipulating minions? Mhmm. So Raga forgave Odin for the fact that the miracle he performed to save the young Dwarf was less than ideal. Odin unleashed a Leyline Storm and rifted Raga to safety in the chaos. Odin chose a pocket dimension he had created as sort of Dimensional safehouse for just such an occasion. It was unfortunate that Odin became distracted and forgot about his faithful servant. Many years had passed before Odin had reason to think of Raga again. And for Raga, because of the difference in the passage of time in the Pocket Dimension, it had been decades alone! His home for that time had been a meadow about the size of a football field with a pristine pond in the center surrounded on all sides by impenetrable forest. At first it seemed like paradise in comparison to the last couple years of Raga's life. But soon a diet of fruit and boredom preyed on the carnivorous Dwarf of action's mental health. 20 years later he came out a just little bit odder than when he went in. Odin suddenly remembered his trusty dwarven servant when he had a task come up that Raga was particularly suited for. He quickly tracked the dwarf down and released him from his accidental prison. By way of apology Odin presented Raga with a magnificent mount, Snapi, an astounding representative of the legendary Asgardian Mule. Snapi and Raga have become fast friends in the last little while as they have been tirelessly pursuing the objectives that Odin has set for them. Last edited by Anonymous on Sun Oct 13, 2013 12:37 pm, edited 17 times in total. Pawn of the Gods; Fortune's Fool; it's Raga M.F. Grimcrow! High animal intelligence. Truly, a very brave mule. Size: 56 inches tall at the shoulder. Bonuses: +2 to strike, +2 to dodge, +3 vs. horror factor, +6 to save vs poison and disease. Speed: 27 (18.5 mph), but maximum speed is 44 (30 mph); that speed can be maintained for 4D4 minutes. Can carry up to 1,200 pounds or pull up to 4 tons. Average Life Span: 100-120 years. Dimensional Quirks: Dimensional Focal Point: Yggdrasil; The World Tree connects the Nine Homeworlds of Asgard. A cosmic ash tree, Yggdrasil, lies at the center of the Cosmos. Three roots drink the waters of the nine homeworlds. Beneath the root in the world of the frost giants is the spring of Mimir, whose waters contain wisdom and understanding. The root in the Æsir homeworld taps the sacred wellspring of fate, the Well of Urðr. The tree is tended by the Norns, who live near it. Each day, they water it with pure water and whiten it with clay from the spring to preserve it. The water falls down to the earth as dew. Animals continually feed on the tree, threatening it, but its vitality persists evergreen as it heals and nourishes the vibrant aggression of life. On the topmost branch of the tree sits an eagle. The beating of its wings cause the winds in the world of men. At the root of the tree lies a great dragon, Jörmungandr, gnawing at it continuously, together with other unnamed serpents. The squirrel Ratatosk carries insults from one to the other. Harts and goats devour the branches and tender shoots. Ásgarðr (Asgard), the home of the Æsir, lends it's name to the whole Dimension. Odin is the chief of Asagard. From there he conducts and dispatches military expeditions to all parts of the world. He has the virtue of never losing a battle. When he is away, his two brothers, Vili and Vé, rule the Dimension from the palace of the gods, Valhalla. Before you reach Niflheim, the land furthest to the north, a dark dwelling stands. In halls of gold, Sindri's bloodline lives in there, the land of Myrkheim. Sindri, the first High King of the Dvergr, established his kingdom there at the behest of the Allfather, so that the rare minerals locked in the mountains there could be unlocked by the tireless labor of the dwarves. In order to arm the forces of Valhalla with superior weapons and armor he taught the dwarves the secrets of Runes and craftsmanship so they might supply the Allfather’s efforts. The High Jarl of Myrkheim is elected every 20 years from among his peers, the Jarls. 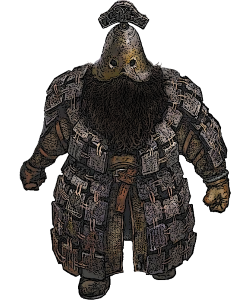 A Jarl is anyone who can prove that they are among the 333 richest dwarves in Myrkheim. These 333 Jarls make up the Dvergr Althing which is the ultimate source of authority in Myrkheim. The Dvergr value hard work and straightforward dealings, as such very few pursue the study of magic. As with undertakers and grave diggers, people found themselves uncomfortable around practitioners of magic. It was a respected, but unliked occupation. Most dwarves become Rune Masters or soldiers in Odin’s service. However, knowledge of magic is necessary in the production of the most powerful weapons and Odin selected one clan of Dvergr to commit to the Mystic Arts. Though in many ways a blessing, this task set upon this particular clan by their master caused them to be ostracized from Dvergr society. The Grimcrow clan was the one honoured as Odin’s students, and they cared nothing what society thought for they had been an insular and surly lot anyway.